I recently had the opportunity to chat with Vince Lichlyter. 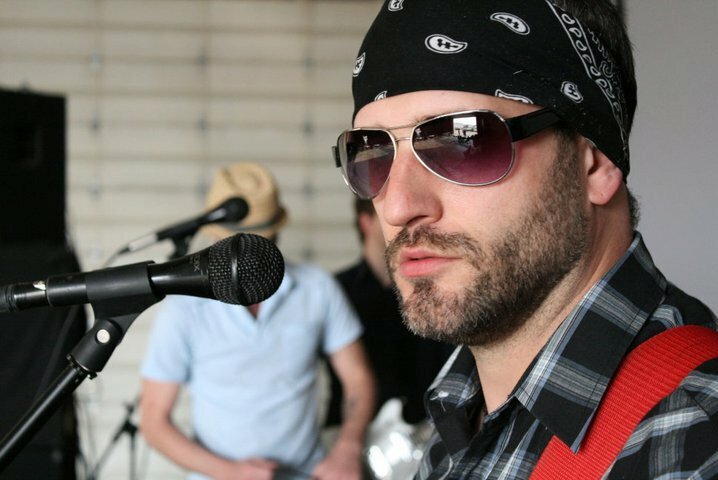 Vince is a solo artist who founded the Christian Rock Band, Jonah33 – which disbanded in 2009. 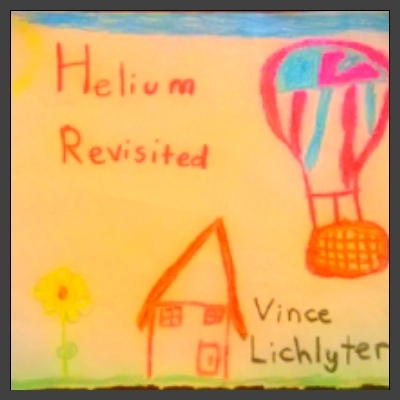 On Jan. 28th released an EP Helium Revisted on Boleyn Records. HOW PERSONAL IS THIS E.P. AND WHY? This e.p. is very personal to me because they’re a collection of songs that have come to me over the past 5 years or so. It’s kinda like a look back to see what I’ve overcome, some views I’ve adopted, and some things I’ve gained. It’s all over the map, but it’s me, so it’s okay. “In Him we live and move and have our being”. Life comes from God. I absolutely and fully support those I share beliefs with concerning the sanctity of life. 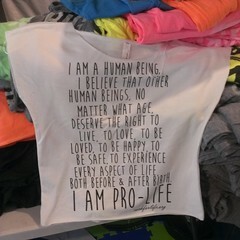 HOW DOES PRO-LIFE AFFECT YOU ON A PERSONAL LEVEL? Oh, man. I’m a dad. That bond you develop with your kids is something I wish everyone could experience. We have a saying on the wall of our living room over the pictures of all our kids that says, “Every child is a story yet to be told.” Sure, it can be trying at times, but the reward for being a part of that story doesn’t have words. The thought that we are given the responsibility over one of God’s creations, one of God’s children, that’s beyond humbling. WHAT’S DIFFERENT ABOUT THIS RELEASE THAN ALL YOUR OTHER RELEASES WHEN YOU WERE IN THE BAND JONAH33? always came out rock. The other big difference, I believe, is the lyrical content. The e.p. , like I talked about before, is really personal. J33 stuff was more about addressing social issues within the church and personal issues within belief systems. So, yeah, an inside look into my life. ceiling as far as what we could accomplish, and that we were all going to pursue other passions. Which is all true, but there’s also my personal answer, which is that I spent too much time focused in on and addressing the problem instead of the Answer. I grew bitter and that was the end of it. That pretty much sums it up. Being a great husband and dad, and being that guy that never wavered In his beliefs. Tomorrow I will be speaking (along with many others) at the Northern Virginia is Pro-Life Rally. If you are near Fairfax tomorrow why don’t you come out and be apart of this awesome event! Besides yours truely you will get to hear Elizabeth Farah (Worldnetdaily.com), Kristan Hawkins (Students for Life of America) Peter Shinn, (Pro-Life Unity) and many others. Also, musical entertainment will be provided by Emily & Anna Weisband and Maddy Curtis. Emily & Anna have provided music at numerous Rock For Life events. Many of you may have already heard Emily & Anna play at one of the numerous coffee shops in the area! You can hear their music by clicking here. Also, Maddy Curtis hails from the Northern Virginia area, she was a contestant on American Idol and comes from a family of twelve whose mother is an award winning blogger! We interviewed her earlier in the year on our podcast. Click here to listen. Northern Virginia is perceived by many as non-friendly to the cause of human rights and justice for preborn children. With a large number of pro-life groups located in the Northern Virginia area this is bound to change. 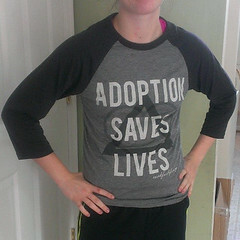 Polls tell us that more and more people, young and old are self-identifying themselves as pro-life. With the elections coming up this is a perfect time for pro-life people to use the ballot box to speak out for the preborn. Then, after the elections, no matter who holds public office our work continues by holding them accountable. Let’s not forget our most important work, to personally be pro-life by continueing to educate those around us, get involved in pro-life projects, speak out, raise awareness and raise funds for important pro-life efforts. PODCAST: How being Silent and Clipboarding on campus can save lives! On this podcast (Sept. 24, 2010) Kristan Hawkins and I interview Bryan Kemper, President of Stand True Ministries and Students for Life of America’s West Coast Field Agent Steve Macias. Click here to listen! Bryan tells us about the upcoming annual Pro-Life Day of Silent Solidarity which is October 19, 2010. Listen as he tells us moving stories of babies being saved from last year. Click here to listen! 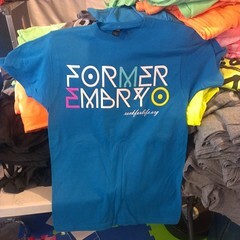 Also, Steve Macias tells us how simply asking the question, “What do you think of aborton?” can help save a babies life! Click here to listen! Music you hear on this podcast is by Restless Street, a Modern Worship Rock band from Northern Virginia. These tunes are specifically from their 6 song EP, The War Has Just Begun. Make sure to support them and other pro-life artists! Click here to listen and let me know what you think of the show!